Years ago, getting a home loan was fairly simple. You’d go to your local bank, apply for a loan, and within a few days your mortgage was on its way to completion. 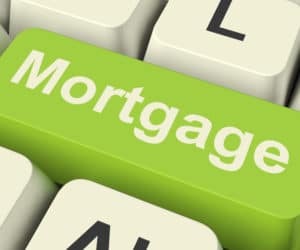 Today’s home mortgage lending market is dramatically different, thanks to more government regulations; introduction programs like Freddie Mac, FHA, and VA loans; and loan instruments such as interest-only, fixed or viable interest rates, home improvement loans (HELOC), reverse mortgages, and fully amortized to interest-only loans for a set period of time that are then fully amortized. Competitive lenders, along with the advent of the internet, changed the landscape of offering and processing consumer loans – which has hurt some lenders because of their size and geographic reach. With the near-overnight changes in the offering and acquiring of home mortgages, regional lenders might be left out of the mortgage market or find it difficult to compete. Adding to this challenging situation are loan aggregation sites like Quicken Loans, LendingTree, CashCall and eLoan. PeytonDigital has a digital process to bring home borrowers to your lending institution. PeytonDigital’s proprietary and highly effective program can be set up quickly, so that you’ll start receiving a continual stream of exclusive leads almost immediately. The best thing is that these individuals have expressed interest in your home loan programs – which makes them highly qualified prospects. In fact, in as little as a month or two, your increase in new clients should more than offset your small digital marketing investment. Contact us today to learn more about growing your mortgage leads.